Safety is always a top priority and that’s why now is the time to buy a security system for your home! 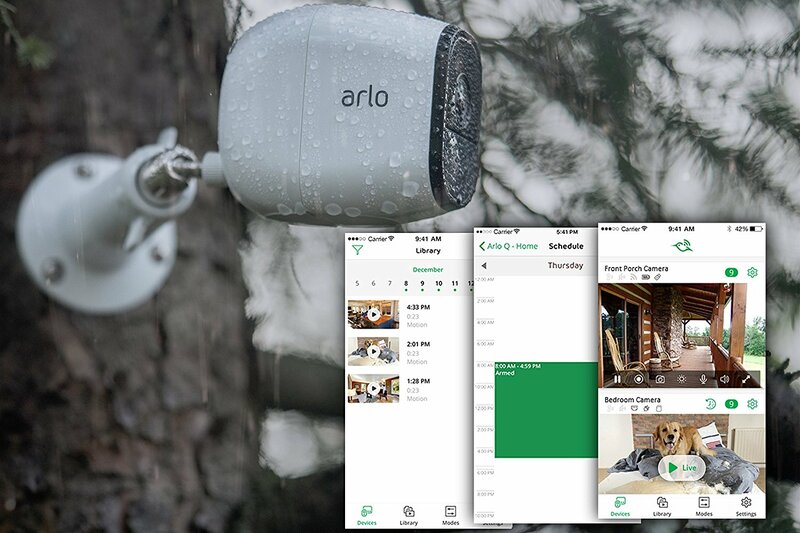 Amazon has some amazing deals for Cyber Monday and the NETGEAR Arlo Pro Security System is one of the items it has on sale. This security system comes with anywhere from one to six cameras depending on which option you choose, and is completely wire-free. So you don’t need to worry about wires and cables tangling in on each other. Without wires, you can place the cameras anywhere you’d like easily. The security cameras are weatherproof so they can brave the rain, snow, and heat with no problems. Along with all the equipment, you receive free cloud storage so you don’t need to pay for cloud storage separately. You can also view live or recorded videos anytime anywhere from your smartphone! If you want to save your videos you can use a USB drive for a local storage backup option. The system runs on rechargeable batteries that are very long-lasting. This system also comes with a loud siren to alert and prevent crime. The 100+ decibel siren can be controlled remotely or when motion or sound is detected. You can also listen in and talk back with the included speaker and microphone using your smartphone.